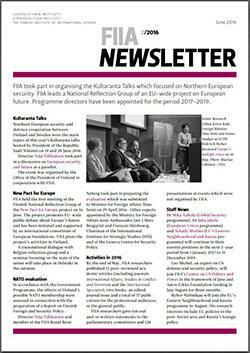 FIIA took part in organising the Kultaranta Talks which focused on Northern European security. FIIA leads a National Reflection Group of an EU-wide project on European future. Programme directors have been appointed for the period 2017-2019.